How did you become involved with Bothy Stores and Bothy Project? Our first collaboration came about for the GI Festival in 2016. Bothy Project had curated a selection of objects that were intended to connect Glasgow's contemporary art & design culture with its industrial past. In response, we created the ‘Maker’s Ditty’ - a small bag designed to keep tools & equipment organised for the modern maker. The design was influenced by the ‘ditty bags’ that sailors would make to store their sail mending tools - and with Glasgow's history of ship-building along the Clyde, it was a narrative that worked really well for the project. Our second brief was to create an item that would work with one of the pre-existing Bothies. We spent a few days staying at the beautiful Inshriach Bothy up in Aviemore, and while most of the details in the Bothy were perfect, we noticed that the gravity fed shower bag was just a glorified plastic bag! It didn’t really fit with the style and ethos of the Bothy, and it was clear that we could create something that would be more sympathetic to the location, look better and provide a much more pleasant shower experience! For the design, we used the Maker’s Ditty as the starting point, and scaled it up. We used a durable canvas for the body of the bag, and made sure that it would hold enough water to sustain a long shower. We then used a wide rain-shower head to give a much more satisfying experience. The camp shower is super easy to use. You just heat up some water on the wood burner, pour it into the bag and hoist the whole thing up on a winch. Then you can open the valve and enjoy a 5 minute shower in the middle of nowhere! How does your product work within the context of the Bothy? The Bothy is completely off grid. It has solar panels, rainwater collection and a composting toilet, but no good way of washing yourself. The addition of the shower means people can stay for longer, and have a more pleasant experience in the Scottish wilderness. The Bothy is a stunning structure, and every detail has been given a lot of thought and care. 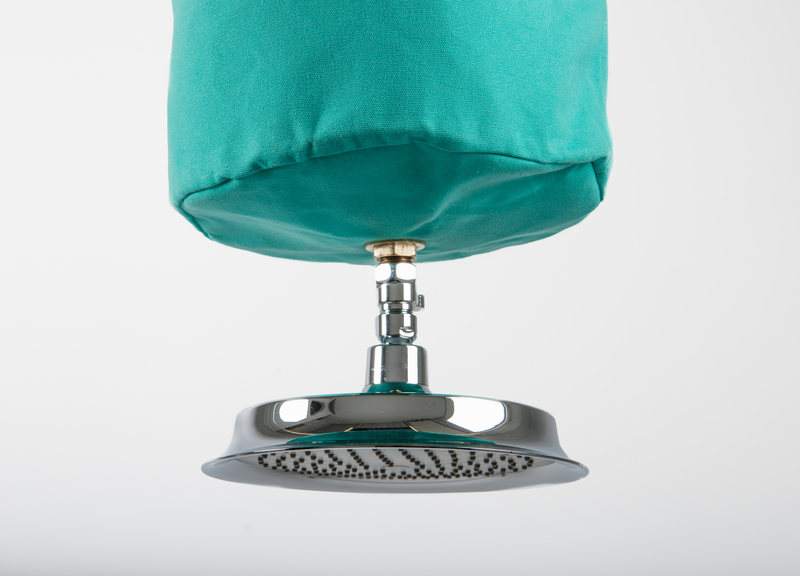 Our shower bag adds to that attention to detail, and creates a more complete and consistent design style. Why was it important for you as a designer to be involved in this project? As a company, we strive to make products that transition from workday to weekend with ease. Bothy Project fits that ethos so well. The Inshriach Bothy isn’t ‘luxurious’ in the traditional sense, but it’s a very civilised way of accessing the outdoors, and we knew our customers would love to find out more. In that sense, it was an ideal collaboration. But on a personal level, I also have some experience designing and building small shelters. While studying at the Glasgow School of Art, I designed and built a ‘Microhouse’ which I then lived in for 4 months on a community garden in the West End. Drawing on that experience, I then designed a modern Yurt which is lighter and more portable than a traditional design. As such, it was a pleasure experiencing Bobby’s designs, and having another opportunity to spend time in a ‘tiny house’. What do you think this kind of project could do for Scotland, and for its art & design scene? 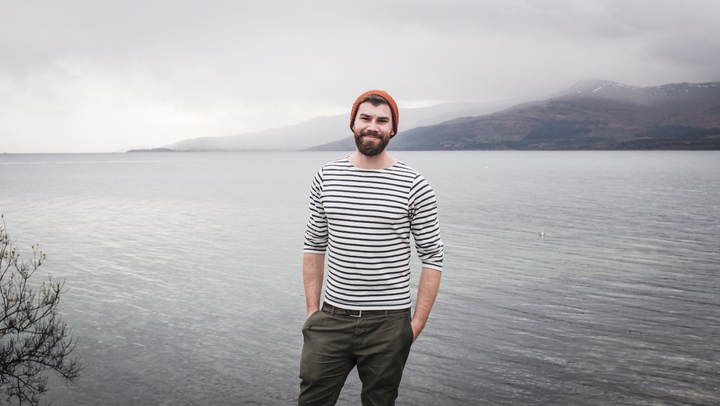 The beauty of the Bothy Stpres is that it is uniting designers and makers from across Scotland. As a nation, we have a lot of wilderness, and some of the most stunning landscapes in the world. On the one hand, projects like this inspire people to make the most of the outdoors that are on our doorstep. On the other, they showcase the breadth and variety of high-quality design that’s happening in Scotland right now, without being twee! What other products/projects are you working on at the moment? 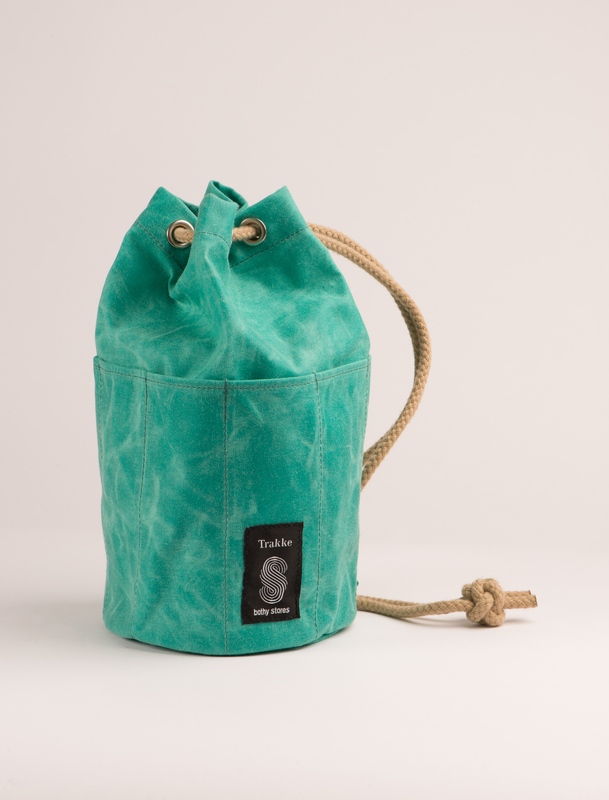 We recently launched a new range of bags that are made using nettle fibres. Inspired by Swiss Army Backpacks from WWII, the fabric is stronger and more sustainable than traditional cotton canvas, and we created a backpack and messenger bag, as well as a host of accessories for photographers. Find out more about Alec's work at Trakke.